Can’t delete Vista Protection 2013 virus from your computer? Currently, my computer has been hacked by this application, it won’t go away even if i turn off the PC, once boot up it pops up again quickly, i have a big time to deal with this warning alert, any suggestions? Infected With Vista Protection 2013 – How to Remove? Vista Protection 2013 virus is a fraudulent anti-spyware program that tricks PC users into paying money for a “licensed” version of the software that does not work. Actually, a real anti-virus program works to protect the user from viruses, malware, and spyware, but this kind of software seems not to do the job but attack common users from the internet. It pretends to be a legit program making its way into the users system and then pops up as if it was an original program that came with the computer. Referred to as a “Rean Baravix” virus, it will displays different names in different system, like this one it attacks users computer in Windows Vista, it claiming to be real anti-virus and anti-spyware program although it isn’t true. Once downloaded on the target computer, the rogue program starts to scan the full system telling your computer is in high risk as there are multiple threats in the machine, and it continues to post warning messages of possible threats and list off fake virus names in an attempt to scare the user into purchasing a license in order to run the program and remove the threats. That is crazy the application complete scanning in just a few minutes though the real anti-virus takes several hours to do the same task, so there is no doubt that Vista Protection 2013 is a fake AV, please find an efficient instruction to clean it out. Even real virus scanning tools have a hard time detecting the Vista Protection 2013 virus, that is why it gets onto one’s computer easily, and so many times the user isn’t aware that there is a problem until the warning messages pop up, but it is too later as it blocked all your access to the internet or programs. These often trick some users into thinking that it is a legitimate anti-virus application and they pay for the license activation code only to realize that they have been scammed by hackers. Vista 2013 Protection Came Up On My Computer What is it? Usually the Vista Protection 2013 alert virus is spreading through free downloads throughout the Internet. The things will hide this attack in video and audio downloadable files, freeware, shareware, and also email attachments. Once user opened or clicked on the links, then it activated the rogue application. So we suggested users should not trust those file sharing sites, as they are usually set up and run by cyber criminals aiming to access computers through virus attacks. All it takes is one wrong click and the computer froze down. Every time to computer is boot up the virus will trigger the fake virus scan and then there will be pop ups that warn of virus detections. The fake protection 2013 will even disable some programs to stop the performance of your system, further making the users believe that they are indeed infected with viruses, Trojan Horses and spyware, and out of fear they will quickly “activate” the software to get the reg key so that they receive the full version of Vista Protection 2013 to clean out all threats. The warning screen looks like an authentic anti-virus program, making it easier for the hackers to convince unsuspecting users to pay the activation fee for the software. But it is a scam!!! Don’t be fooled by this nasty virus. 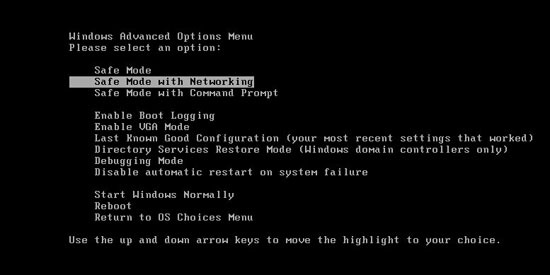 Before all you people who are going to get in safe mode with networking or safe mode with command prompt, you need to keep hitting F8 key, where is the key? 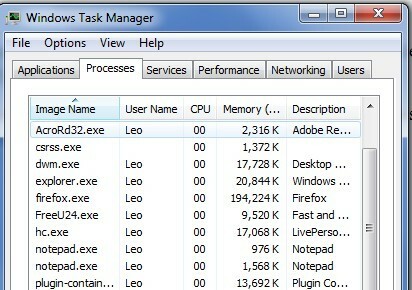 Step B: Press Ctrl+Alt+Del keys to open the Task manager to stop the progress of this Malware. Because the name will be changed fast, it will be show with different name. Step C: Delete all the files related to Vista Protection 2013 Alert warning scam. Step D: Delete registry entries of Protection 2013 scam created in computer system. The malware is designed to mess up your system. And the hackers have just one goal with this fake anti-virus program, it made you thought there were lots of viruses, spyware in your computer that have been detected by this free antispyware software. This is not real but rogue AV, uninstall it from your computer immediately. If you have hacked by the virus then you must know that it targets Windows users, so anyone running Mac’s and iOS software will not have to worry about the possibility of being infected by the Vista Protection 2013 virus. Since it is not easily picked up by real anti-virus program the user will need to be able to detect early signs of possible infection, such as slow or sluggish response times when opening programs, or some programs failing to open. If this is the case it is important to run a system scan and also look for suspicious files, but it blocked many things on the infected computer. If the virus does activate and the warning popup surfaces then you will have to manually remove all the files. That is the only way to remove the virus fully. Special tips: Spending a lot of time fixing your computer with no success? Don’t want to get things worse, please contact PC experts now to unlock your computer and remove Vista Protection 2013 Virus scam safely and completely.